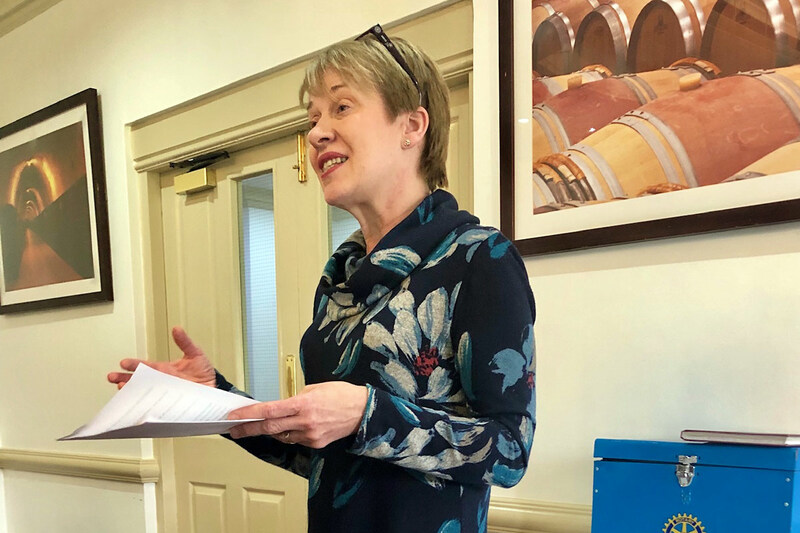 The speaker today at Oswestry Rotary Club’s meeting was Gill Jones who worked in Community Development for the local authority until her retirement 5 years ago. 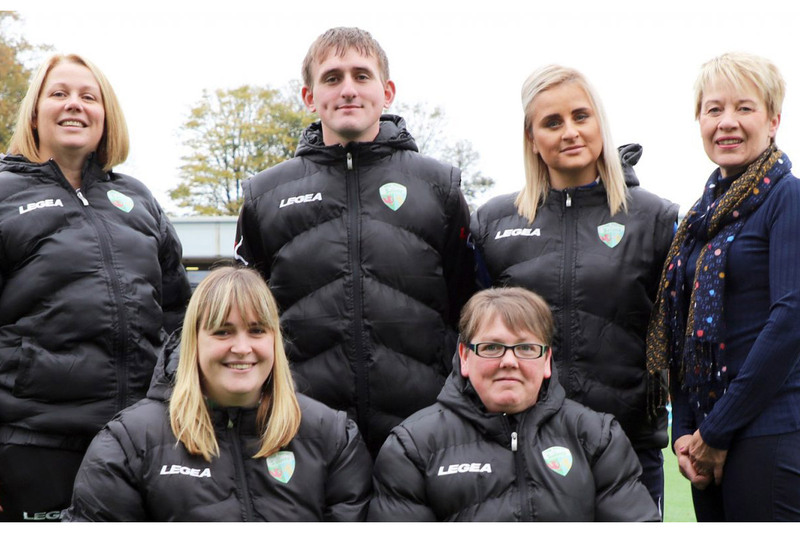 In February 2014 Gill took on a new role at the then recently formed New Saints FC Foundation - a charitable organisation that aims to engage with the local community to provide positive, sustainable and above all inclusive football, sports and educational activities for young people, the not so young and people with additional needs. The Foundation’s involvement extends across many areas including education, health, social inclusion and equality, underlining their commitment to have a positive impact and make a difference to the lives of people within Oswestry and the surrounding area, including over the border into Wales; physical activity is obviously key but should be accessible by all. The Foundation is not for profit and has been part-funded by TNS football club to the tune of £12,000 over the last 5 years but thanks to grant and lottery funding (including the FAW and local authorities: Oswestry Town Council, Shropshire Council, St Martin’s Parish Council among others) had a turnover of £87,000 last year, with any profit being ploughed back into the Foundation for further community activities. The aim is to become self-funding in the future. Health and well-being is one important area: the age of participants ranges from 3 - 103!! Getting fit, particularly in the older age-group, can help guard against certain cancers and diabetes for example. 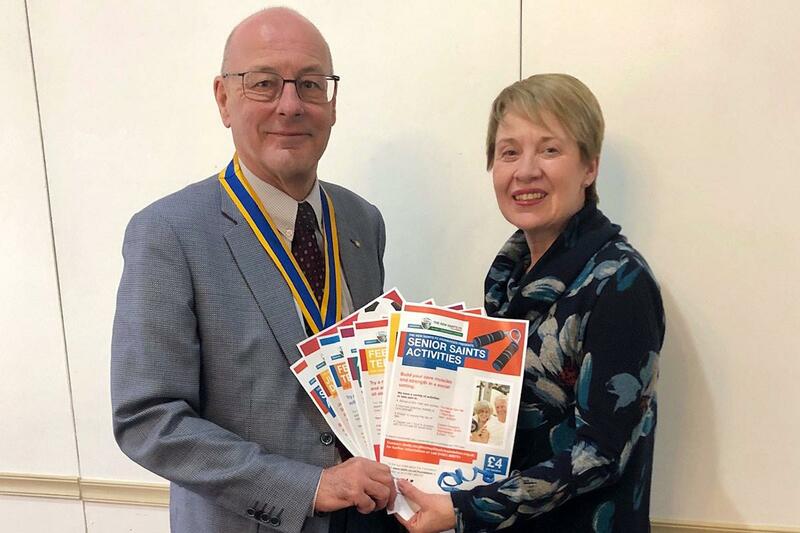 It can also help to prevent falls - in 2018 there were 19,000 reported falls in Shropshire alone and the Foundation works with victims to recover balance and increase core strength to reduce the likelihood of further falls. There is also provision for activity-based social activities for people with additional needs, both younger and older; it may be 10-pin bowling at the Venue or football for 4-9 and 10-16-year-olds, which can be on a one-to-one basis if required. Shropshire Council sponsors a scheme called All In for young people with disabilities. As well as benefitting those taking part it can give carers a break. One young service user, when asked what difference the scheme had made to him summed it up like this: “All In turns my world upside down, from wrong side up to right side up”! The Foundation also works with groups of young people in Weston Rhyn and Gobowen with council backing - they learn to participate in a sport and get a free lunch thrown in. There are activities in school holidays, for example in February half-term. To help facilitate the youth work a new Youth and Community Worker was employed by the Foundation in 2018. In Whittington there is a scheme called #iwill with Parish Council and police backing to get disaffected young people involved in physical activities. Obviously being part-funded by a football team is the USP for the Foundation but TNS want all abilities to be catered for, not just first teams. There is a Walking Football club which meets on a Thursday evening at the Venue and Kicks Cymru which is Welshpool based and has 3 girls’ junior teams. This year Kicks will be involved with Children in Need. The Foundation is also involved in schools with multi-sport trained coaches in 13 schools both during the day and after school covering everything from dance to hockey. This obviously enriches the school curriculum by helping with fitness and developing aspirations, but also through talking about the club and its European participation literacy and numeracy as well as history and geography are all involved as well. Obviously the link with The New Saints FC provides more than just funding; people using the Foundation’s services go to games, meet players, use The Venue’s facilities etc. The club hopes that because of the Foundation more people will go along to their games, which are affordable, safe, enjoyable and provide high quality football. 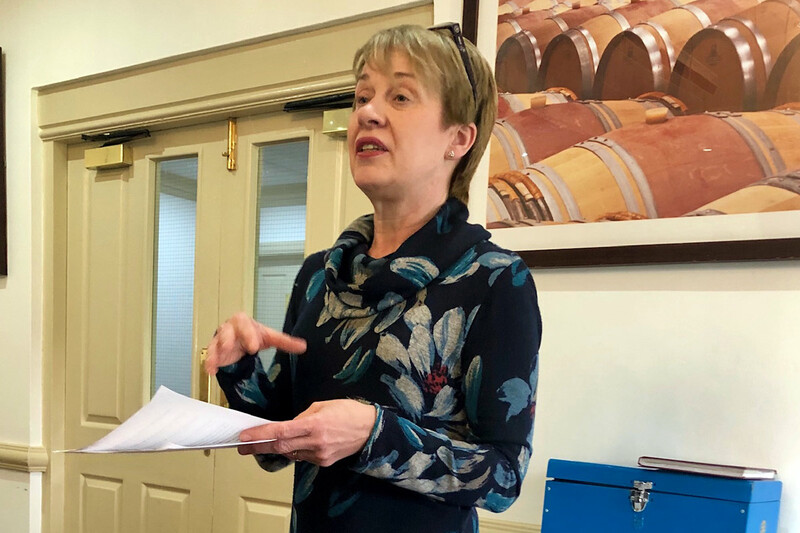 Members thanked Gill for a very interesting talk as few of us knew about the very worthwhile activities of the New Saints FC Foundation.